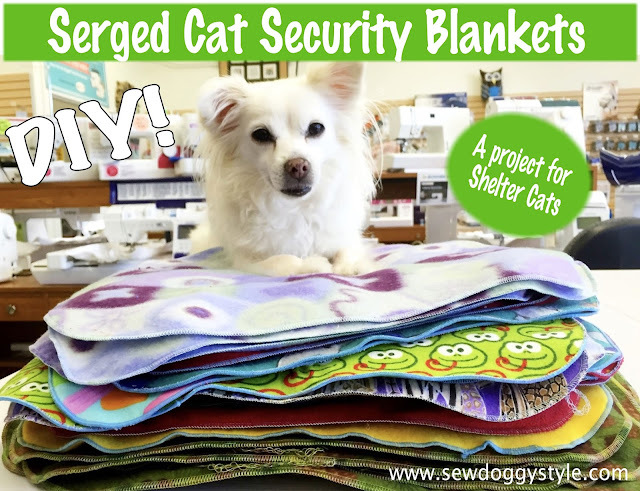 We just completed our 5th Annual Craft for Shelters event and I wanted to do a special post on these cat blankets because they are so easy to make and such a cool concept! Sebastian is posing with our finished stack we donated to Seattle Animal Shelter. 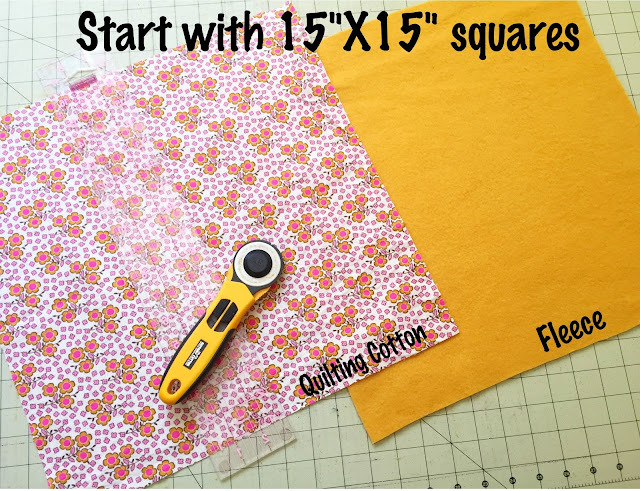 They are fairly small in size so you can make quite a few from just a few yards of fabric. You can do a single layer of fleece, a double layer of flannel/other soft materials, or a cute printed quilting cotton with a fleece back. And if you have access to a serger, you can just edge-stitch the blankets! 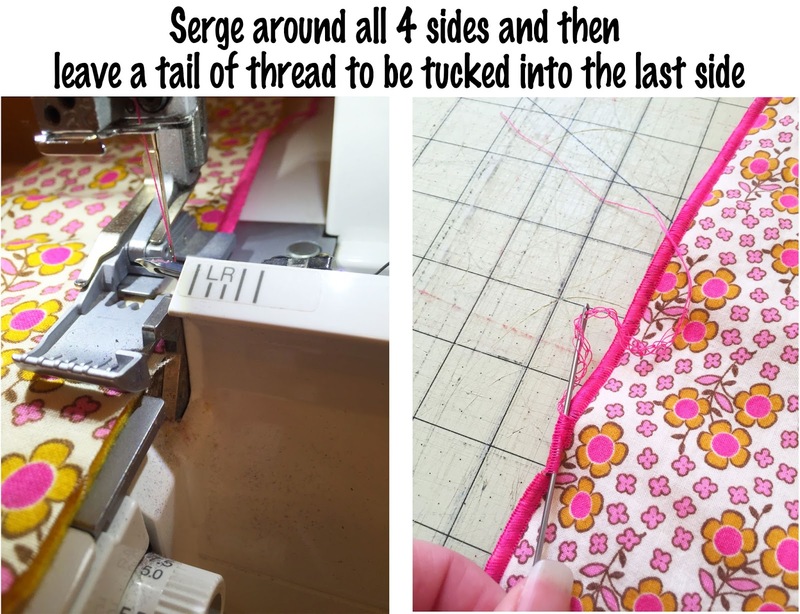 Rounded corners are faster to serge in my opinion, but nothing wrong with squared blankets either! 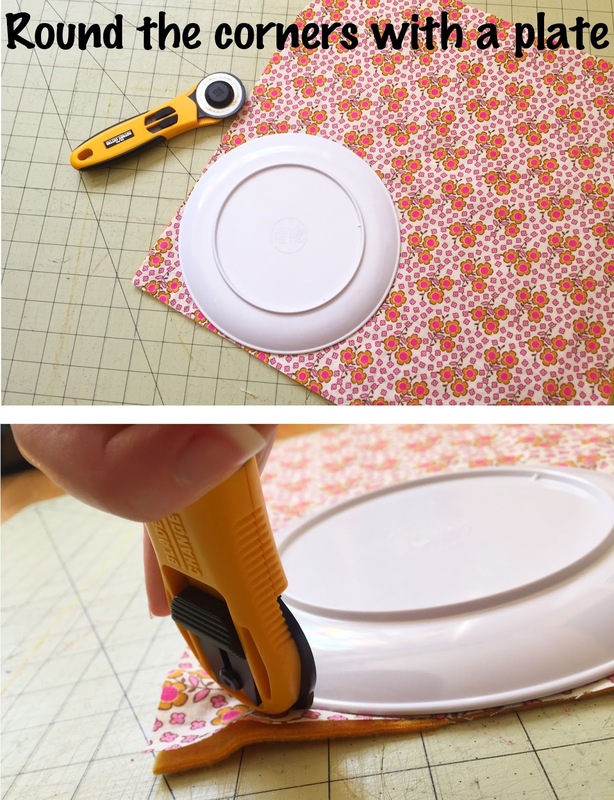 Grab a plate or any round object to trace your rounded corners with and then cut it out. Set your serger for a 3-thread overlock narrow stitch and put it on a short length (between 1 and 2). It's simple and effective. We also did some with variegated thread and those turned out very cool! That's all there is to it. It's a 10 minute project! We tried to get a photo of one of the shelter cats with our blankets and it's definitely not easy to make them pose. 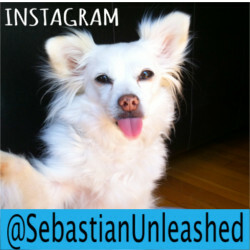 Sebastian says I shouldn't be so surprised, ha! "These are very special blankets… they will carry the cat’s scent with them to the new home and while they are in the shelter as their bedding is rotated and all other scents around them are replaced, the blankets will stay untouched. 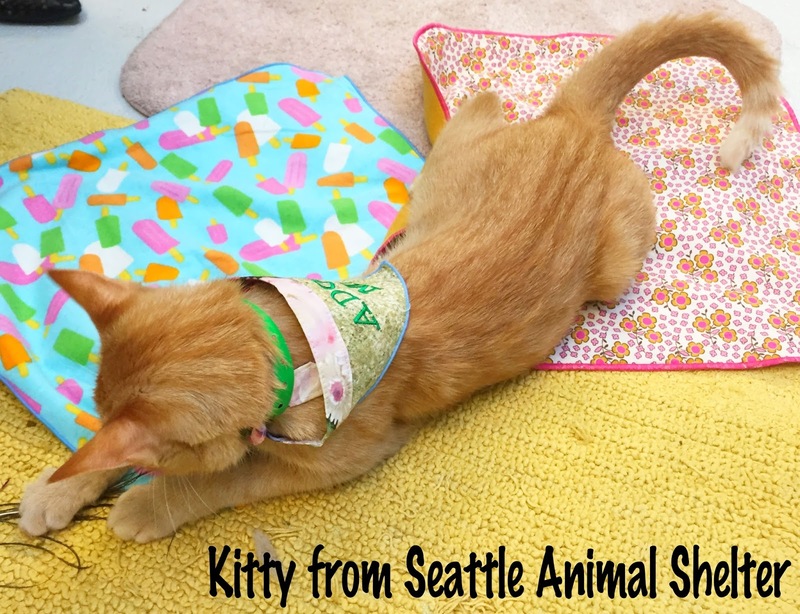 Think of them as distressing blankets more than for warmth… kitties will have other bedding for this purpose." 15"X15" was their requested size, but seems to me like the blankets can be a variety of sizes. Or how about larger ones for the dogs. 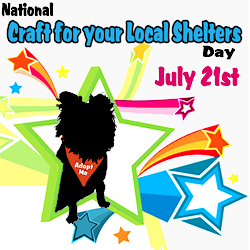 Contact your local shelters and ask them what they need! I also found this link online to the Snuggles Project, which is another great organization encouraging people to make blankets for shelters. I love the idea of sending shelter blankets home with the pets. I don't think my animal shelter in Oregon does that, and maybe they should! I'll bring it up with them. Great idea! Nice to have a kitty guest model. God bless you for the work you do. I's sweet to hear about the project! And thank you for sharing the tutorial. تيقن من تحديد الآفة قبل شراء مبيدات الآفات. ما تفترض أن تكون فئران في السقف المخصص بك يمكن أن يشكل ممتلكات. إذا كنت تجابه إشكالية في تحديد الآفة ، فإن المتاحف فيكتوريا تقدم خدمة تحديد الهوية. تَستطيع تقديم استفسار عبر الإنترنت. البديل هو استعمال مشغل مرخص لمكافحة الآفات مدرّب في تحديد وإدارة الآفات.